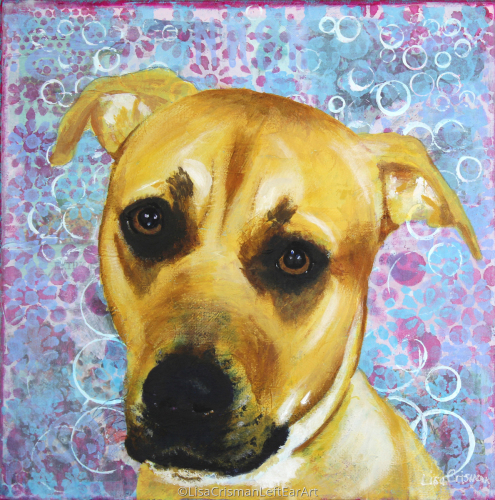 Fun fur baby portraits on mixed media backgrounds. This is "Shelby". 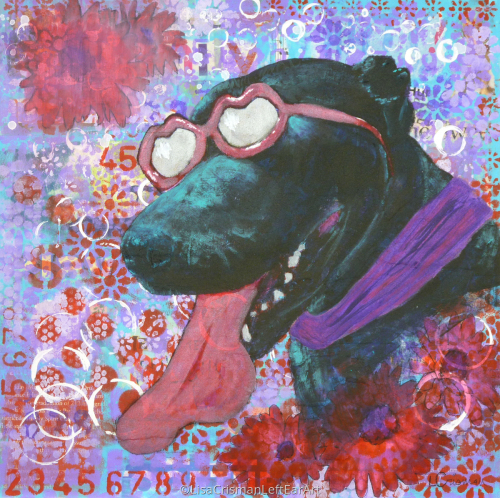 Contact me for a whimsical portrait of your fur baby! Isn't she the sweetest! Fur Baby portrait done on commission. 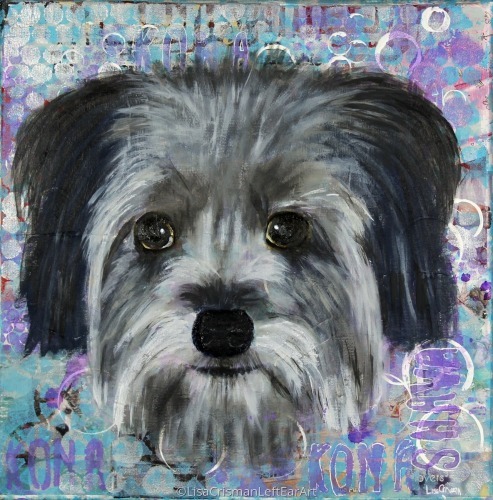 Personalized Mixed Media Fur Baby Portrait of an adorable little sweetie!! Done on commission. 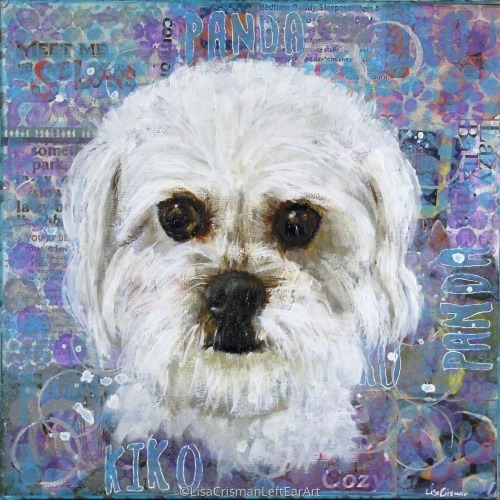 A cute little ball of energy, Kona's mom and dad were thrilled with his portrait! Done on a personalized mixed media canvas.